WIDE Bay's fifth and final national representative will be Col Curry. 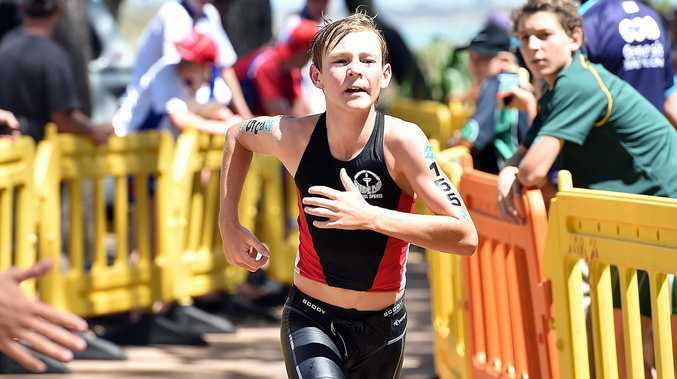 The Hervey Bay youngster finished second in the Queensland School Sport Triathlon Championships' junior division, and will be one of the athletes to watch at April's Penrith event. He joins intermediate trio Charles Liebenberg, James Thomas and Lochie Armstrong and senior Todd Baldwin as Wide Bay's representatives in the Queensland team. Fellow Bay athlete Toby Powers crashed in the bike, but produced the second- fastest run to finish seventh. Both Hervey Bay boys will be in action during Saturday's relays. The male all-age relay starts at 8am.